Technomad LLC, a leader in weatherproof loudspeakers and audio systems since 1995, announces that Functional Communications Corporation has installed 40 Technomad Vernal loudspeakers as part of a LEED-certified AV and intercom communications system at the new Price Chopper supermarket in Colonie, NY.The Technomad loudspeakers are installed throughout the store and at the entrance to provide high-quality audio reproduction for a Muzak Audio Architecture installation featuring music and in-store advertising; and outstanding voice intelligibility for live pages and other in-store communications. Functional Communications Corp., headquartered in Syracuse, is an independent Muzak affiliate that managed the design and installation of the entire system.The company specified Technomad based on its compliance with the Leadership in Energy and Environmental Design Green Building Rating System (LEED), developed by the U.S. Green Building Council to provide standard for environmentally sustainable construction.According to Scott Welton, Account Executive at Functional Communications Corp., the Technomad Vernal was specifically selected for its audio quality and projection, and its compact and durable design, in addition to LEED-compliant measures including the company’s use of recycled plastic in its manufacturing process. 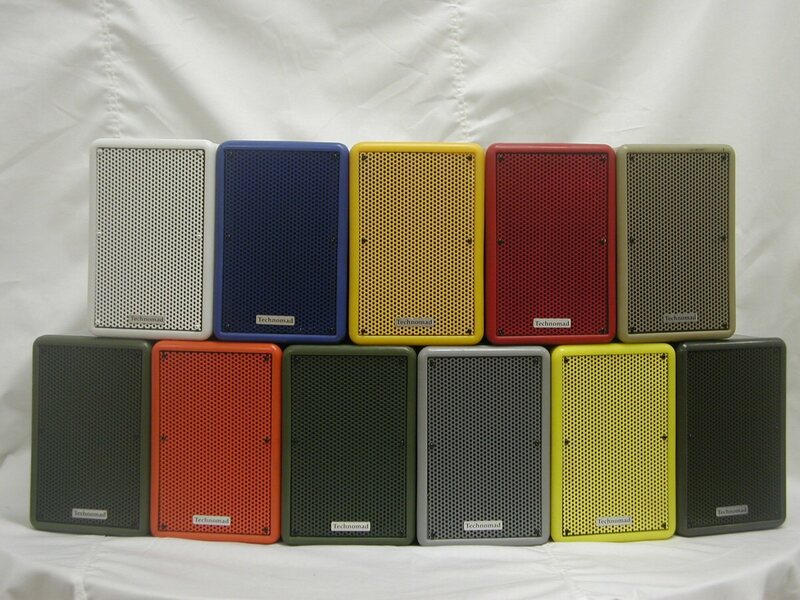 The Technomad Vernal is available in 14 custom colors to match the environment of your installation. The Price Chopper installation includes 40 white Vernals. The Muzak Audio Architecture music and messaging stream is received externally via satellite through Muzak Audio Architecture network and passed through a mixer and four-channel digital amplifier before hitting the loudspeakers.The Vernals are positioned 30 feet apart from each other at a height of 18 feet, mounted to beams and directed straight down to reach customers at the point of purchase throughout the approximately 60,000 square-foot supermarket. Functional Communications Corporation also installed two Vernals at the store entrance to broadcast the Muzak stream to shoppers as they enter and exit the store, projecting well out into the parking lot.Welton added the weatherproof design of Technomad loudspeakers meant the Vernals could be installed outdoors without obvious protection from the elements.Many of the loudspeakers are also exposed to direct sunlight in the store via skylights in the ceiling, which made durability a requirement. The complete system as installed by Functional Communications also features a mini-recording station with a microphone and digital message repeater for recording unique messages in-house; ambient microphones for live pages throughout the store; and a broadcast television service featuring entertainment from the DiSH Network, another Functional Communications partner.